The days are getting warmer, and clothing options are getting smaller… so for many of us it is time to hit the gym or the pavement. To avoid hitting the sheets after hitting the pavement, we need a hearty and healthy breakfast to get us through the day. 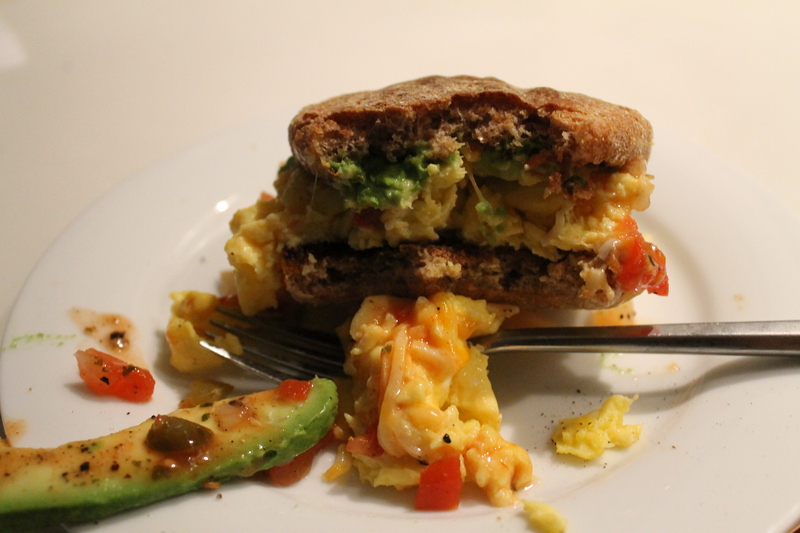 What could be better than a protein-packed breakfast sandwich! Pop the muffin in the toaster (or under the broiler for a few minutes if you don’t have a toaster), and scramble the eggs in a non-stick pan over medium-low heat, adding a sprinkling of salt and pepper. 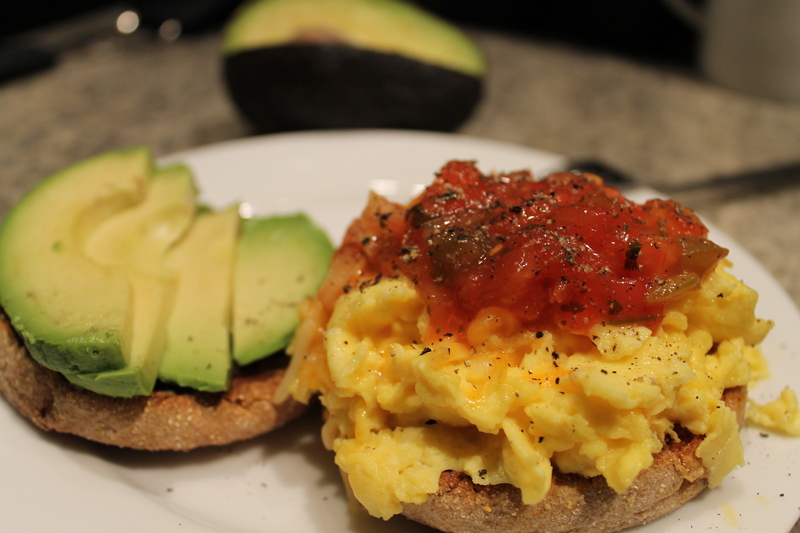 Pile the eggs on top of one half of the english muffin, sprinkle with cheese and spoon some salsa on the top. Put the sliced avocado on the other half, then squish them together. Be warned, this sandwich is messy, but very, very delicious! This entry was posted in Avocados and tagged avocado, breakfast, breakfast sandwich, cheese, eggs, spicy, tex-mex. Bookmark the permalink.